I don't know how much time you spend in a graveyard, but chances are you don't hang out there in your free time...unless you are a zombie. This is where this 19 Piece Graveyard Kit comes in handy! There is everything you need to create the ultimate spooky scene. Need a way for the dead to leave messages for the living? 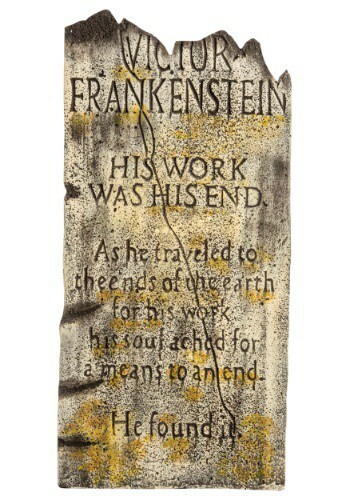 This 22 Inch Chalkboard Tombstone is a way for undead spirits to leave messages for your guests. Of course, if you don't have any zombies or ghosts hanging around your home, then you can just write messages to your guests and claim that it's from the undead. Either way, you need this decoration to do it! "Hey Marisa, can you take eyeballs off of today's menu? We're just about to run out!" If you're running a Ghoul's Cafe, you're going to need this chalkboard to let your guests know what the daily specials are. You know, eyeballs, zombie brains, and lizard tails, that sort of stuff. Of course, you can use this fun decoration for any party even if you're not doing the cooking. Add this fun piece for your next get together, and let your guests know what's up! 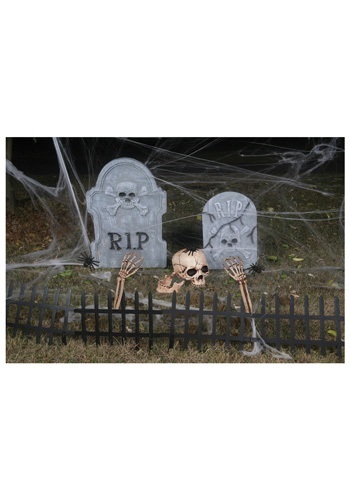 Your haunted graveyard could use this 24 inch Purple Glitter Light-Up Grave Stone added to it. This yard decoration even flashes so it will really creep out your trick or treaters. The added purple sparkle will really catch their eye! 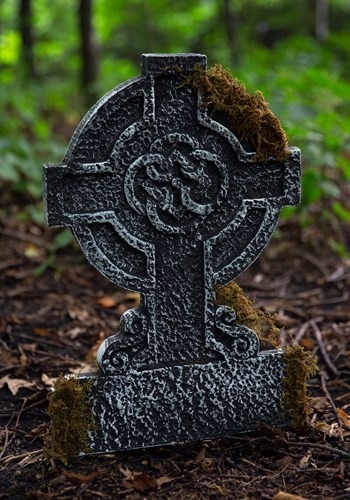 Add some greenery to your graveyard! Make your dead shrubs look alive again when you add this Mood Moss to your outdoor graveyard scene. You can even keep it inside your house which may make guests wonder but, oh well! Just tell them that you embrace nature in your home. Set the tone for the neighborhood by placing this tombstone in your front yard. Your neighbors might be a little frightened to find out that Frankenstein's laboratory was in your basement, but you can reassure them that he's long gone! Frankenstein's monster on the other hand, might still be lurking in your laundry room... but we don't have to tell them that.